The Haunting of Sunshine Girl,in active development for television by The Weinstein Company, a hit paranomal YA series based on the wildly popular YouTube channel about an "adorkable" teenager living in a haunted house. Shortly after her sixteenth birthday, Sunshine Griffith and her mother Kat move from sunny Austin, Texas, to the rain-drenched town of Ridgemont, Washington. Though Sunshine is adopted, she and her mother have always been close, sharing a special bond filled with laughter and inside jokes. But from the moment they arrive, Sunshine feels her world darken with an eeriness she cannot place. And even if Kat doesn't recognize it, Sunshine knows that something about their new house is just ... creepy. In the days that follow, things only get stranger. Sunshine is followed around the house by an icy breeze, phantom wind slams her bedroom door shut, and eventually, the laughter Sunshine hears on her first night evolves into sobs. 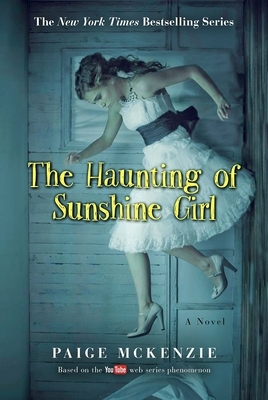 She can hardly believe it, but as the spirits haunting her house become more frightening-and it becomes clear that Kat is in danger-Sunshine must accept what she is, pass the test before her, and save her mother from a fate worse than death. Paige McKenzie, the irresistible face of "The Haunting of Sunshine Girl," began playing Sunshine as a high school junior. Today, the YouTube series boasts a viewership over 150 million views and will soon be a television show from The Weinstein Company. She lives in Portland, Oregon. Alyssa B. Sheinmel is the author of "Second Star, The Beautiful Between, The Lucky Kind, The Stone Girl, " and "Faceless." Alyssa grew up in Northern California and New York, and attended Barnard College. She lives and writes in New York City.